Need for Cleansing - Why do We Need to Cleanse? The Need for Cleansing is now so much more important than ever before because many people do not recognize the need to cleanse. It ought to be part of your wellness programs and of living the wellness way of life. We need to think of it as if we own a new car. As that new car accumulates mileage on it we tend to change the oil in them. We bring it to a mechanic and have them do a tune up on it. We change the fluids. We do what it takes to keep that car in good running order. If however, we do not do these things and continue to keep up the maintenance on our vehicles, they tend to stop working properly. Well the same holds true for our bodies. We clean the outside of our bodies by brushing our teeth, we shower, we get our hair and nails done, but yet we do nothing for the most important part of our bodies, our insides. We do not just wash and wax the outside of that new vehicle to keep it running good, we flush our vehicles to keep them in good running order. But yet, we do not flush our insides. Why? As you may now know from the media, toxins in our environment are more disturbing than ever before. Most of us, if not all of us are exposed daily to contaminants in the air we breathe, in the water we drink and bathe in. Not to mention the pesticides, preservatives and chemicals that now have become a part of our food chain. The Need for Cleansing is more important than ever. The Need for Cleansing is because many of the foods that we eat are processed and add further to our toxic load The Need for Cleansing is because today, processed convenience foods have become a staple in the average person’s diet. Most all of these foods have little or no nutritional value and contain preservatives and chemicals that our bodies do not recognize. The Need for Cleansing is because the body on its own cannot and will not eliminate these foreign substances and chemicals. The toxins accumulate in the cells and tissues and interfere with normal cellular function. This problem leads to a compromise of the immune, glandular and digestive systems and to a diminishment of overall health. In an audio that I once listened to by a Naturopathic Physician, Dr. Norm Burba he states “That in many people the glandular system is already impaired by the age of 25, and that by 40 or 50, most people are only absorbing about 25% of the nutrients they take in, due to the poor digestion and accumulation of waste in the small and large intestines". The result can be felt as generalized and localized pain, fatigue, and lack of mental clarity, digestive problems and mood disorders such as depression. Learning difficulties, weight gain, obesity, immune system disorders, degenerative diseased such as arthritis, irritable bowel syndrome, diabetes, heart disease, disorders of the brain and nervous system and cancer have all been linked to poor nutrition and toxic overload. meal replacement shakes and bars made from organic and whole foods as an alternative to fast food restaurants and convenience foods when we are in a hurry. 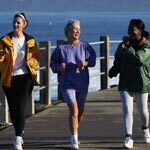 Exercise, fresh air and exposure to sunlight (within reason) on a regular basis are also part and parcel to creating a foundation for good health. The Need for cleansing on a periodic (quarterly-usually with the change of the seasons is highly recommended) basis can support the body in eliminating toxins from our bodies. Many natural health care professionals recommend cleansing. The Need for Cleansing is so Important. So why don’t you give it a try?